Your clients will applaud your purchase of our exclusive Spa Luxe Malibu all-electric massage and spa table from MassageTools. 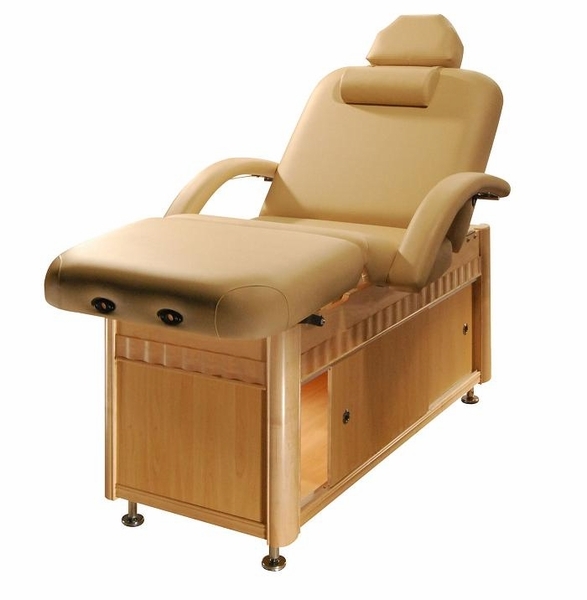 This ultra-comfortable Spa Luxe massage table has a 3.5-inch multiple layer soft foam system beneath ComfortSoft upholstery in a creamy shade of mocha beige. The padded side arms are adjustable and removable. An adjustable headrest, face cradle and face cradle cushion also are included with the affordably priced Spa Luxe Malibu spa table. 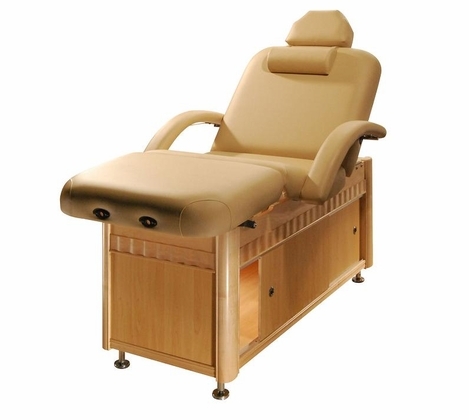 This electrically powered spa table with a four-section top allows you to adjust the back and leg sections with a hand control and to adjust the height with the foot pedal. Adjust the height from 28 to 34 inches on this spa table that measures 73 inches by 30 inches. Visit our Resource Center to view videos of our versatile Spa Luxe salon tables in action. Also shop our exclusive Spa Luxe collection of salon equipment and supplies.